Some minor improvements coming with the new PS4 model. With the PlayStation 4 Slim leak now conclusively being a thing, we are learning more and more about the new upcoming console that should be announced and released at Sony’s PlayStation Meeting in early September. We already know that what the console looks like, and that it comes with a new, slightly updated DualShock 4 controller- and now, thanks to more information shared by Twitter user shortman82, we have more information on both. shortman82 confirmed that the PS4 Slim doesn’t come with the PS4 4.0 firmware update- or at least, the one he has doesn’t. The console is, in his experience, very cool and very quite, which makes for a nice change from the existing PS4 models, which are either too hot, or too loud, or both. He also said the DualShock 4 is a bit better built in this iteration, with better build quality, especially for the triggers, and that the controller feels more solid- whatever that means. He also made some clarifications about the additional light bar that has been reported on, noting that it’s not exactly another light bar as much as it is the touchpad having a transparent strip that you can see the lightbar through. 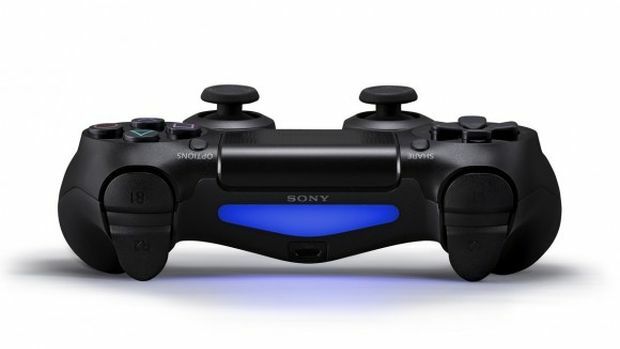 He also confirmed that console’s battery seems to be longer lasting (though to the best of his knowledge, it is using the same battery as the original DualShock 4 model), and that it now lets players select how they want the controller to interact with the console. These are all small things, and on the whole, it doesn’t seem like the PS4 Slim will be a major departure from, or improvement on, the existing models. Still, these small quality of life improvements are likely to be well received.